On the Feast of St. Isidore, the patron of farmers and laborers, we begin a two-part interview with Catholic Rural Life, looking especially at the issues faced by farmers in rural America. Part 2 of the interview can be found here. Introducing us to the organization is Robert Gronski, a part-time policy correspondent for Catholic Rural Life. His duties involve tracking federal legislation and policy perspectives on farm, food, environmental, and rural community issues, and helps frame these within the perspective of Catholic social teachings. 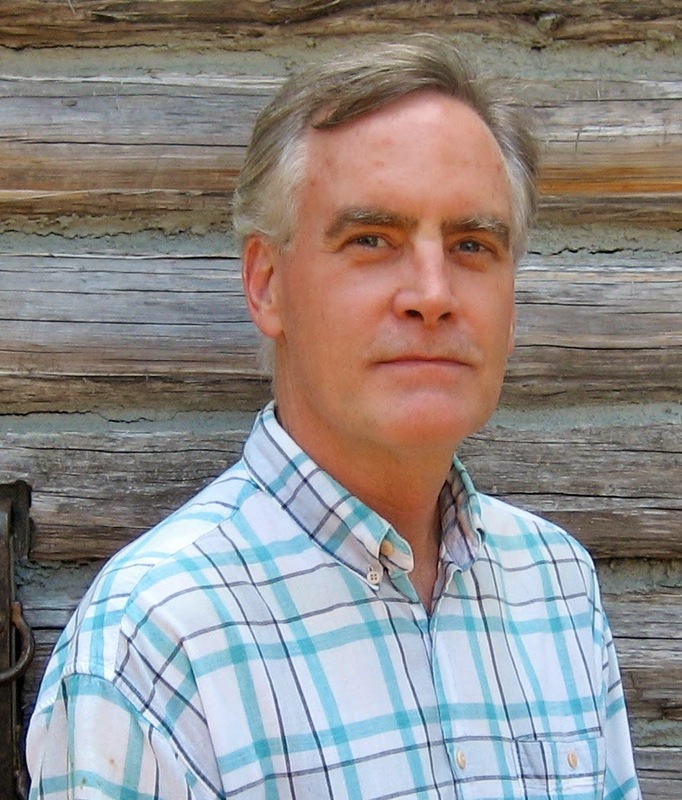 He joined the staff of CRL in 1999 after completing doctoral studies in political economy of agriculture at the University of Missouri-Columbia, Department of Rural Sociology. He also brings an international perspective to Catholic Rural Life with his development work experiences overseas, mainly Southeast Asia and the Pacific. Previously based at the CRL office in Des Moines, Iowa, when he worked as the full-time policy coordinator, Robert now works part-time from his family home in St. Louis, MO. Contact him at bob@ncrlc.com. Catholic Ecology: Tell us about Catholic Rural Life. When did it form? What are its primary goals? Robert Gronski: Catholic Rural Life, previously known as the National Catholic Rural Life Conference, was founded in November 1923 during a gathering of bishops, priests and laity meeting in St. Louis, Missouri. They shared common concerns about Catholic families in rural areas and thereby determined it was time to form an active organization. Most Rev. Edwin V. O'Hara, then director of the Rural Life Bureau of the National Catholic Welfare Conference (which later became the United States Catholic Conference and eventually the U.S. Conference ofCatholic Bishops), was the energetic guide behind this rural initiative. O’Hara saw that the rural church was underserved in terms of priests, churches, and Catholic schools. So in its early years, Catholic Rural Life was primarily interested in religious education for rural Catholics and the challenge of anchoring families to the land. The Great Depression of the 1930s probably shaped the CRL organization more than anything else during those early years. The economic plight of farmers occupied a great deal of attention by federal government officials, not to mention state and local ones. President Roosevelt and others felt that prosperity for the nation would not return until farming was a decent livelihood again. Their solution was to create government support programs to increase the price of farm products. This was part of the much larger New Deal programs. The hard times of the Great Depression, coupled with the environmental challenges of the Dust Bowl era, followed by the trying times of World War II, created a strange twist: Catholic Rural Life as an organization attracted more members than at any other time in its history. If you can imagine life before the internet and digital communications, Catholic Rural Life somehow maintained an active network of diocesan rural life directors. It seems we were better known at that time throughout the countryside than we are today! I should mention that the most popular and well-known leader, Monsignor Luigi G. Ligutti, held the reigns for Catholic Rural Life during the 1940s and 50s. He was the first executive director by that title and established the main office in Des Moines, Iowa. Ligutti was a great spokesman for Catholic rural life, and many thought of him as the personal symbol of the Catholic agrarian movement. He expressed the importance of family farms and love of the soil as the foundations of a virtuous nation. 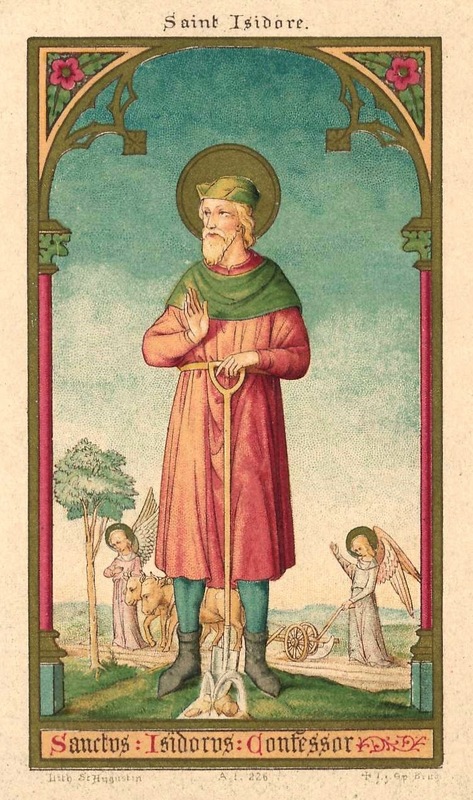 By the way, it was also at this period of time that St. Isidore the Farmer became the patron saint of Catholic Rural Life and, of course, to all farmers and farmworkers in the United States. Initially his feastday was celebrated on March 22, but this was subsequently changed to May 15. St. Isidore, pray for us! Let me jump to the early 1980s: this was another rough stretch for farm families and known by many today as the farm crisis. Fluctuations in the farm economy, along with the economic and farm policies of the federal government, took their toll on the countryside. During the 1970s, farmers were strongly advised to expand acreage and production, which meant carrying heavy debt loads. But then farm prices fell dramatically as the global economy faltered and farm exports dried up. During this period, Catholic Rural Life and dioceses in farm states groped for ways to respond pastorally to farmers who were either in danger of losing their farms or had already lost their farms. Social action and rural life directors started counseling programs and support groups. Efforts were made to become more active in changing or fixing agriculture policies that were now detrimental to farmers. Much of our work today continues to focus on agricultural, food and environmental policies. We are part of several national coalitions and efforts; we also connected with international groups, but try to stay grounded by regular contacts with local groups. Like other membership organizations that depend on annual dues and grants, we are susceptible to economic downtowns, such as the one that hit the country in 2007-08. This curtailed are program work and reduced our active presence for a few years now. However, Catholic Rural Life is currently regrouping. Our 90th anniversary last November served as impetus: we could persevere knowing we had made it through rough periods in the past. New staff members have come on board this year; funding and project grants have picked up again. Many still believe there is a need for a faith-based group like Catholic Rural Life to bring a voice of hope to the challenges facing farmers, rural communities, the environment and the world’s food system in a time of great changes. CE: What are some of the most important issues related to farming today? Gronski: This is a question that can be answered in many ways. Farmers will look at it one way, agribusiness processors another way, conservationists and sustainable food advocates yet another way, and even food consumer groups will have their perspective. We could spend a great deal of time examining the farmer category by breaking down the different kinds of farmers or ranchers throughout the U.S., which region of the country they operate, and whether or not they are a working farmer on the land. (That might sound strange, but it has to do with landowners who rent farmland and absentee farm investors.) But let’s skip over these categories for the moment and highlight what appear to be major concerns as expressed in the farm press and by agribusiness observers. The rising cost of industrial agriculture is certainly near the top of the list. The ever-greater demands on fossil fuel use, water irrigation and topsoil resources (namely synthetic fertilizers) are making it increasingly costly to produce sufficient food for a growing population who still want it cheap and abundant. Just imagine what will happen – politically, socially, globally – as agricultural resources become not only scarce, but are depleted in various parts of the country, not to mention the world. Many further question the very nature of industrial agriculture and whether its grievous impacts on the environment should be allowed to continue. This leads to farmland management as a related and rising critical issue. We cannot continue to drain the nutritional value of the soil and expect to replenish it with cheap synthetic inputs. Sustainable agriculture proponents – and Catholic Rural Life is decidedly in this camp – are calling for a new agrarian mindset of soil and water stewardship. Sound practices must be renewed, such as crop rotation and use of cover crops, to help the soil replenish its organic material. Grazing and livestock management also requires greater attention and care; grasslands can be readily replenished under proper land and cattle management. Let me say that everything begins and ends with the land. The opening chapters of Genesis seem to bear this out when it comes to our life on this earth! For us in the modern world today, we need to stay aware of preserving good farmland, particularly near cities and towns where the economic incentives of urban sprawl tend to outweigh ecological rationality. Even in the wide-open spaces of rural areas, we need to take care in continually plowing up marginal lands; that means preserving grasslands that should remain as natural habitats. Finally, we need to publicly support the stewardship of productive land on working farms, thus protecting the soils and sustaining our agricultural production for generations on end. A third important issue generating a great deal of discussion is food waste. Some observers have estimated that on a global basis, we might be wasting as much as one-third of the food coming off the field. Some waste occurs in the agricultural production process itself; this is followed by food loss in post-harvest handling and storage; and there is also loss in processing and distribution. Then there is a sizeable percentage of food waste by the consumer – you and me! We put too much on our plates and then throw it out; we buy too much at one time and let it spoil; or we simply don’t like the look or taste of something – and toss it. This is the world we live in: sufficient food for many, yet hunger for some, obesity for others, and an inordinate amount of food waste still to deal with. As a society, we are alarmed by the human health concerns of malnutrition, whether too little food or too much. We should become equally alarmed to the impacts on the environment. The industrial method of production, the intensive use of fossil fuels and the subsequent waste along the way are simply not sustainable for the world’s growing population. Thus, Catholic Rural Life joins with those trying to change U.S. farm and food policies. Our recent efforts in the new Farm Bill (more descriptively, Food, Farm and Jobs Bill ) are evidence of that. But just as important is reconnecting the general public, far removed from life on the farm, to how their food is grown and processed. This is the beginning of a solution. CE: What would you like the average consumer to know about the farms and the families who feed the rest of us? Gronski: Catholic Rural Life has for many years now tried to create awareness among “eaters” (meaning the public) about what is happening in farming. Our campaign called “Eating is a Moral Act” was a striking way to engage consumers in relearning where their food came from and what important issues they should be aware of. By the power of their eating choices, which is to say consumer choices, they could create change in how food is produced and who gets to stay on the land and produce that food. 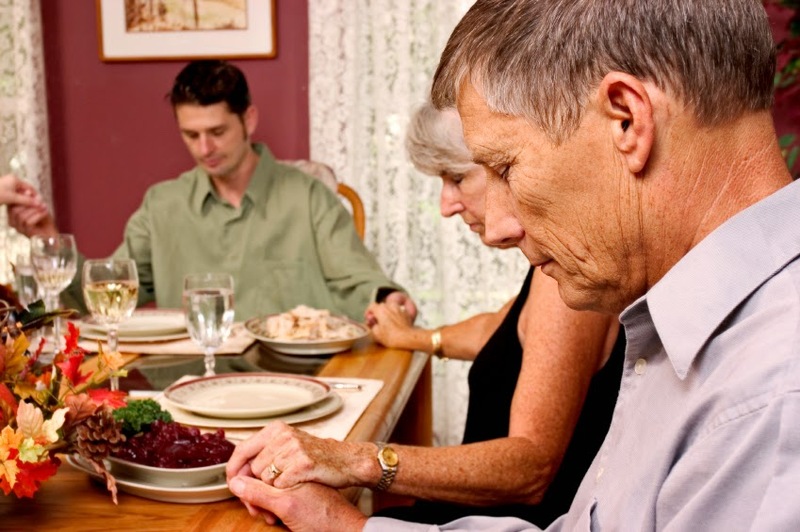 So the “ethics of eating” (as we also refer to it) was our way to reach out to an urban audience and to the many parishes who no longer have strong ties – or really any ties – to farms and rural areas. But they still have a great concern about food and the environment. Catholics, like many other faith traditions, have always been concerned about hunger and its primary cause, poverty. They are perplexed as to why farmers are able to produce so much food and yet many still go hungry. This gets to the other side of the question: what is really happening in the structure of our food system? Why is the market failing to feed everyone? Why is the market creating incentives to erode the ecological foundations of food production? Farmers and ranchers will grow and produce what people want to buy and consume. You might say, “Well, of course! Why wouldn’t they? !” The modern structure of agriculture, however, sets a powerful “middleman” between farmer and consumer. I’m referring to giant agribusiness corporations that control the handling, processing and marketing of the food we eat. Farmers and ranchers are producing for those giant firms since that is how the structure of the agricultural system in our country works. Because these are first and foremost business corporations, they “source” (look for, contract with, buy from) the “most efficient” crop or livestock production – which is to say the lowest cost at the acceptable quality – and then processing and packaging the final food products in a way to capture the most profit. But coming back around to farmers and their families, we already know that their numbers continue to dwindle. Technology makes that possible, but I think it is wrong to believe it makes it inevitable. “It’s just the way it is,” I often hear in reaction to the industrialization of agriculture and the big getting ever bigger. I say it is the way the powerful have shaped it. At Catholic Rural Life, we believe that most farmers and ranchers feel a vocation towards growing the best food they can for the health and daily nutrition needs of all people. Our network of members and partners favor the family farmer and fret over the continued loss of the family farm. Actually, I believe we will always have family farms: some will just be very large operations and many will be much smaller “niche” farms. The problem is not really the size or scale of the farm; it’s whether or not we will have a sufficient number of farm families who make rural life thrive. It’s not just about growing food: it’s raising a family, sending kids off to school, filling shops and churches, and building community. The values it took to make that all work are the values a country needs to remain secure and sustainable. Family farms accomplished this in the past, so we should not let them slip away because it’s more “efficient” to produce food on a giant industrial corporate scale. (Fortunately we’re not there yet, but the tendency to head in that direction clearly is.) There is a common belief that family farmers are good stewards of the land; this was the case when one generation planned to pass along the family farm to the next. They knew their land and they took care of it. As today’s farmers retire, however, their children may no longer see a future in farming; it is a capital-intensive business and the margins are thin. It is not uncommon for the land to go into the hands of much larger farm operations or farm investors. Maybe they will be good stewards; but first and foremost they will be businessmen. Part two of the interview is here.